Twin & Earth Cable (6242Y) Grey 1.0mm2 x 50m is rated 4.8 out of 5 by 133. Rated 5 out of 5 by Mgoo940 from Exactly what you'd expect at a great price. Good quality cable that comes on a reel not just celephaned in a roll. Cable is easy to work with and cuts well. The insulation is just the right thickness which helps with shaping for a neat job. A big thumbs up from my customers. 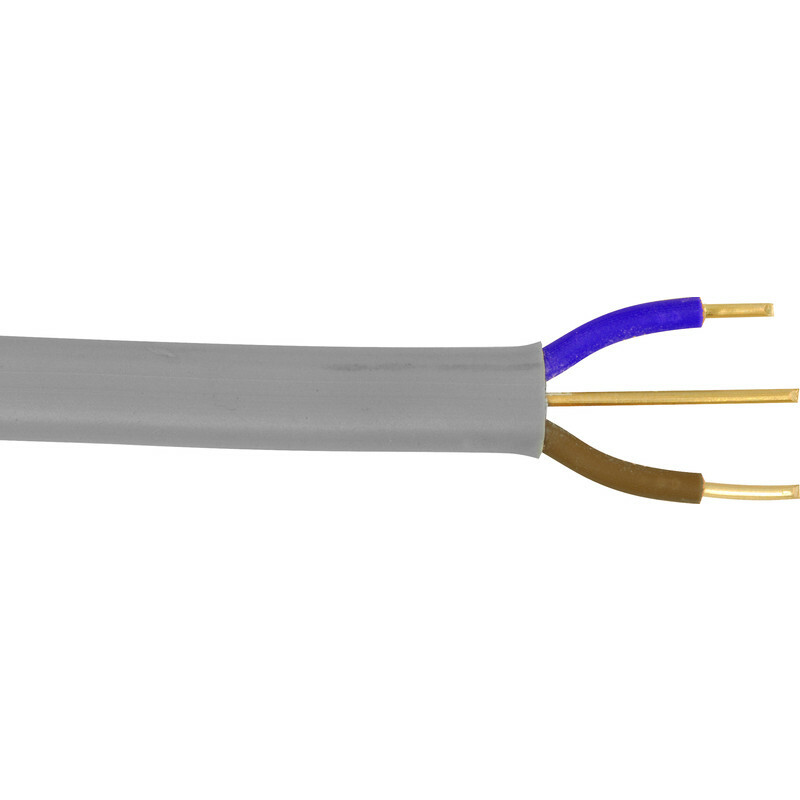 Rated 4 out of 5 by staffp from Cheapest cable but not sure about quality Always tends to be the most competitive on price but this batch I noticed the outer insulation wasn't as thick as other brands. Almost thought I had got 1.0mm by mistake! With it being thinner it is easier to pull through but easier to damage unfortunately. Rated 5 out of 5 by Sandy06 from Good price Happy with product at good competitive price. Throw in free 1 day delivery. Excellent.